It provides an instant supply of energy for a long time removes fatigue, improves concentration and increases endurance during training. 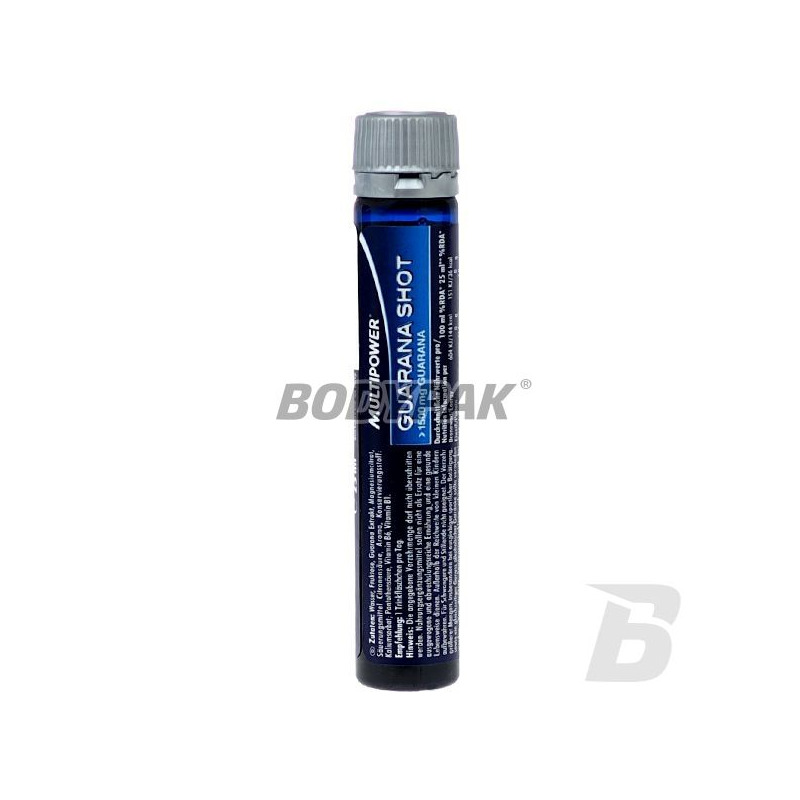 Energy supplement Multipower Guarana Shot is 1500 mg of guarana in each vial, which not only provides an instant supply of energy, but it works long-term to long-removing symptoms of fatigue, improving concentration and increasing endurance during training. Strong and effective supplement for athletes Multipower Guarana Shot contains a natural extract of guarana, vitamin B1 and B6, and magnesium. Cheap supplement improves the body's energy Multipower Guarana Shot has no negative health effects on the kidneys, or the mineral body! Each bottle of conditioner energy Multipower Guarana Shot contains 1500 mg of guarana. Guarana contained in the Multipower Guarana Shot is a highly energizing extract of a tropical plant grown in Brazil - Guarana (Paullinia cupana), which is a rich source of caffeine. Very good supplement for athletes as comfortable ampoules Guarana Shot stimulates the nervous system, increases concentration, suppresses appetite, improves overall fitness and endurance of the body. Furthermore, Guarana caffeine contained in the shot is a factor thermogenic - meaning that it stimulates metabolism and affects faster burning calories and promotes fast and effective weight loss. Caffeine from Guarana Shot significantly extends the metabolic effects of catecholamines (adrenaline, noradrenaline) by inhibiting phosphodiesterase, thus significantly enhances the effect of reducing body fat. 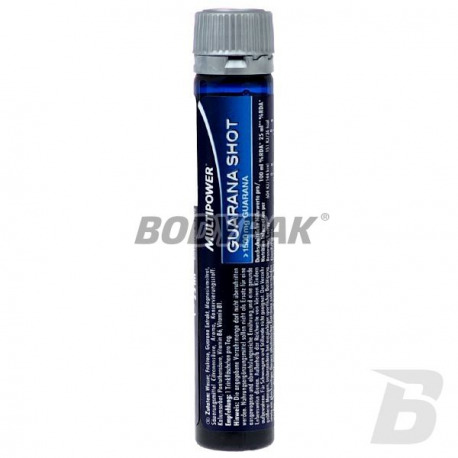 In addition, inexpensive preparation energizing Guarana Shot (guarana liquid) supports the effectiveness and efficiency of training, prevents the catabolic phase, and accelerates muscle recovery after exercise. Guarana Extract contained in the nutrient for athletes and active people Multipower Guarana Shot effectively and for longer than coffee increases alertness, concentration, logical thinking ability and memory. Liquid form of the extract of guarana in Guarana Shot facilitates the assimilation and repeatedly enhances the potency of the product, resulting in sustained for many hours increase in the activity of the body. Multipower Guarana Shot is a safe supplement that does not cause undesirable side effects, including - does not cause irritation of the body and does not raise blood pressure.